Disclosure: This is a compensated post in collaboration with Portland’s Kelly’s Jelly. As usual all opinions are my own. Thank you for supporting the brands that support NJB! Check out her jams and jellies for flavorful additions to your kitchen. She is an awesome local small business owner here in our area! Spicy Marionberry Lime Pork Tenderloin is a subtly spicy, majorly flavorful pork recipe that I have made so many times already I can’t even count! Berry flavor with meat is so good, the sweetness with the spicy and the acid from the lime makes this one of favorite pork tenderloin recipes. I made two of these one night and had the leftovers in sandwiches on sourdough with gouda and arugula. To die for! Brian and I had a picnic on the river with those pork tenderloin sandwiches and decided to turn them into tacos the next time I made this. A little extra lime and arugula on a corn tortilla and yum taco time! That’s why I love this recipe so much, make it and have it several different ways. Totally double it and have tasty leftovers all week long. Check out Kelly’s other jams and jellies, they are all thoughtfully handmade with love. Which is what we all love! 1. Place jam, olive oil, lime zest and juice, and salt in a gallon sized ziplock bag. Place pork loin in bag, massage marinade into meat until covered well. Allow to marinate for minimum 2 hours and up to 24 hours in the refrigerator. Turn the bag over once, about 1/2 way, to marinate evenly. 2. Remove pork from fridge 1 hour before grilling. Prepare grill by heating one side of grill on high. Once grates are hot, rub with olive oil on a paper towel or rag. Place pork on oiled grate and cook for 5 minutes on each side for a total of about 15 minutes or until pork reaches 145 degrees. 3. Remove from grill, place on a cutting board, cover with foil for with 5 minutes before cutting. Slice into 1/2 inch thick. Serve immediately with fresh parsley or place leftovers in an airtight container for up to 3 days. I love fruit with pork! 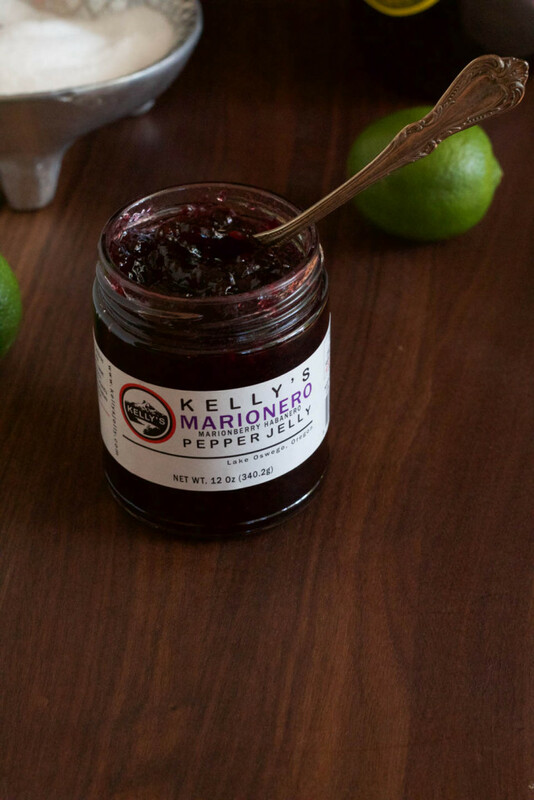 We don’t have a lot of marionberry in LA, but I’ll bet this is amazing with the habaneros! Seems like a great pairing for pork! Nice touch with the green garnish on the photography. I know how difficult it can be to photograph browns. Ha, good call! Seriously, it can be challenging. I use parsley a lot on my food, it tastes good! A little trick from Culinary school and working in restaurants. 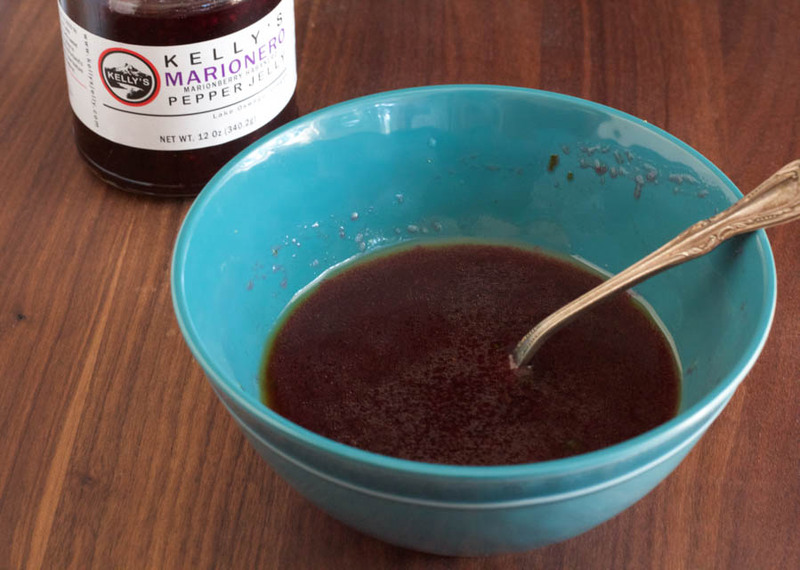 That marionberry jam sounds amazing! I bet it makes a fantastic marinade for meat! Yum! Love pork and berries together. Especially marionberries since it’s a special treat. I can only get them when I visit the west coast. Totally West coast living. You can order the jam online though, which is cool! That jelly! Those flavors! Such deep, rich colors. A simply lovely dish. Oh, yum! I love pepper jelly in recipes! It adds such a punch of flavor. Sounds perfect with pork! 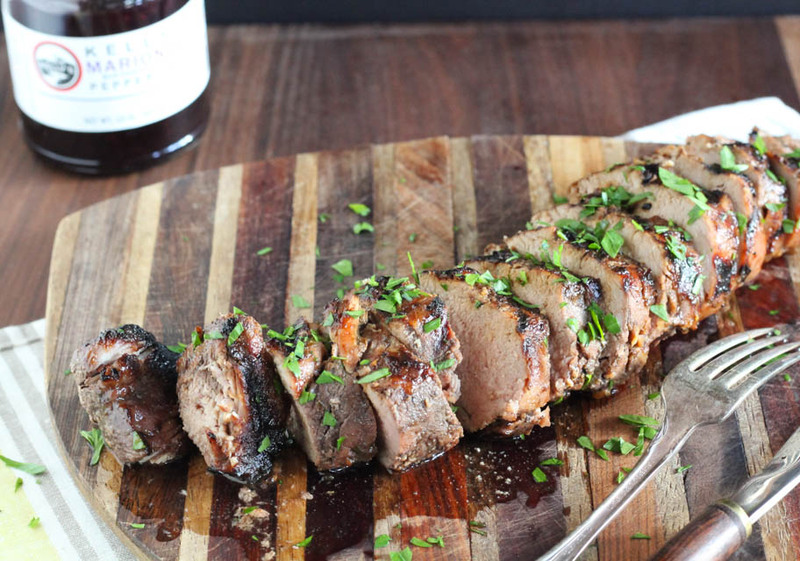 We love pork tenderloin – can’t wait to try this, now I just have to locate that marionberry jelly! You can buy it on her website! She is so lovely, has a small business with amazing products. Love her! I happen to have a pork tenderloin in the fridge. Thank you for solving my problem! Well it’s my pleasure :)! This looks and sounds SO delicious!! I cannot wait to try this recipe for my husband – I know he’ll love it!! What a wonderful meal to serve family on a weeknight, or even fancy enough for guests on the weekend! Love the flavors and I’m sure it’s a total crowd pleaser! Great recipe! I love pepper jelly … and this one sounds amazing! I love how you used it too … pork can take spice really well! I bet this is delicious! Me too!And I hadn’t thought of it like that, but you are so right! Pork loves heat for sure. Thank you! Yes! This is the kind of thing I like to make to really impress people, especially because it’s to easy. Pork and berry flavors sounds like they’d be so great together! Thank you!!! Isn’t that so true? 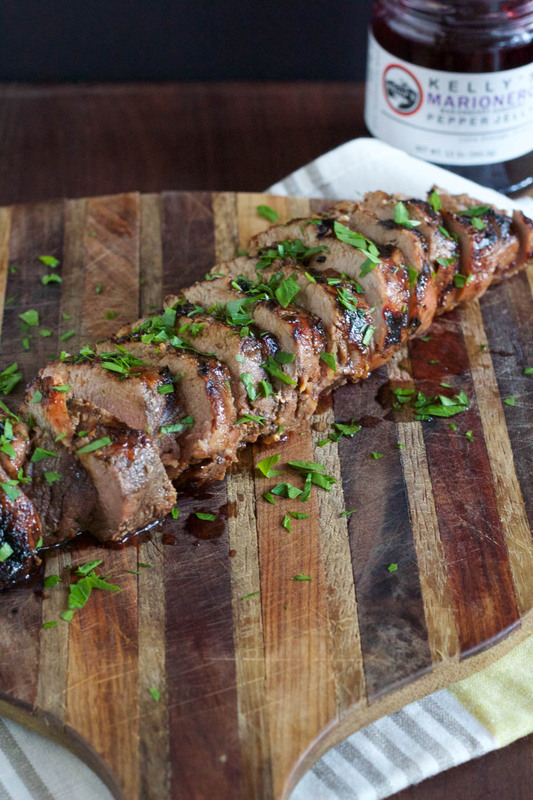 Marinated pork tenderloin is the easiest thing in the world! !